This Sunday, millions of Americans will sit down to watch the closing chapter on the 2018-19 NFL season. Some will watch for the contest, others for the halftime show, and plenty more just to see the commercials. If you take a closer look while watching the iconic game, you will see the manifestation of Servant Leadership: Atlanta’s Mercedes-Benz Stadium was designed with a focus on serving the highest priority needs of fans, employees, and the community. 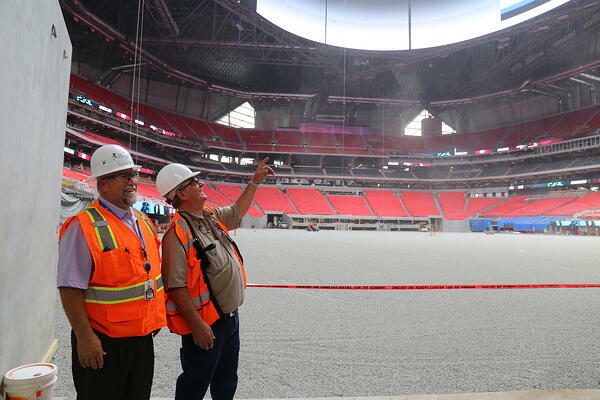 Regardless of your familiarity with football, you're likely to be mesmerized by the Servant Leadership characteristics of Mercedes-Benz Stadium. Servant Leadership is a philosophy that can transform company culture and increase your bottom line — and the Mercedes-Benz Stadium is proof. Most vendors see fans as a captive market, unable to bring in food or drinks. As the length of games increases, it’s inevitable: Junior is going to get hungry, and Dad is going to buy that $12 burger to keep him engaged in what could be the best bonding moment of their lives. He still remembers the look on his own father’s face when his team’s running back broke free for that 38-yard touchdown that sealed a trip to the big game. How can he deny his son that same experience? The Atlanta Falcons wanted to do everything possible to provide the best service to their customers. When the Falcons decided to build their new stadium, one of the first changes was to concessions. They tried new tactics that upend conventional thinking: better quality, lower prices, and fair wages for labor. They figured today’s football fan just doesn’t have the discretionary income, but he’d be willing to buy more at a cheaper price. National Public Radio’s Nick Fountain recently talked about this new phenomenon on his podcast, and its wild success. Atlanta slashed its prices by 50 percent during the move, but the Falcons' sports media company told the New York Times the amount spent per fan increased by 16 percent. 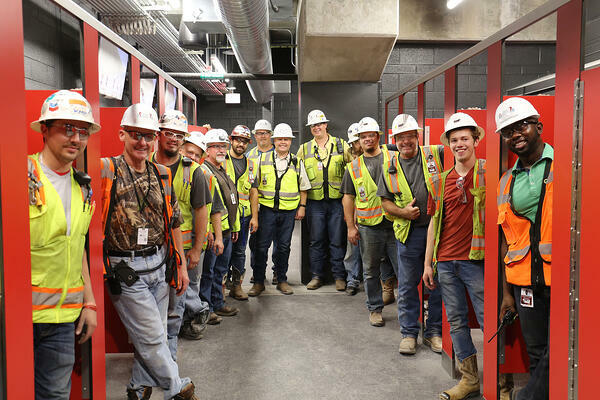 The Falcons turned to a joint-venture group which included TD to provide mechanical and plumbing construction. TD immediately saw a company with several shared core values: A focus on the end-user’s needs, innovation, labor equality, and a desire for a high-quality finished product. Fair wages are extremely important to the owner; in fact, Arthur Blank’s foundation created the Westside Works program to bring in local workers during the construction process. TD joined with this program to train several workers in eight-week apprenticeship programs. They were heavily involved in building and maintaining the movable stage platform during the bowl-duct construction phase. Four found careers in Atlanta. Another Servant Leadership attribute of the award-winning sports venue is its commitment to environmental responsibility. The Mercedes-Benz Stadium is the most sustainable sports venue in the world and was the first professional sports stadium to qualify for LEED platinum status. A true product of Servant Leadership, the 14.5-acre retractable roof design is comprised of 8 steel petals that open and close like the aperture of a camera lens — the first of its kind. The high-quality project was even named the Best Construction Project of 2017 by the Associated General Contractors of America. How Does TD Help Atlanta Keep Prices Low for Fans? TD assisted in installing specialized grease exhaust connections to account for the increase in sales volume. Some traveled significant distances from multiple hoods out to exhaust louvers. TD also installed ultraviolet and scrubber systems, which helped reduce long-term costs for the Falcons. With fans eating and drinking more, the obvious biological outcome was another challenge TD had to solve. 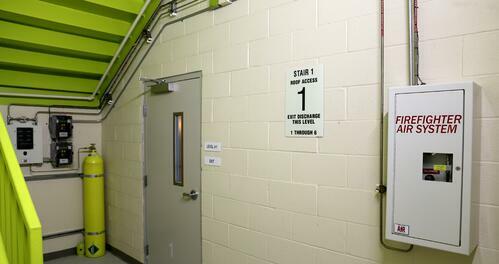 TD helped design a building that could handle 40,000 gallons of flushed water continuously. Before the stadium opened, TD performed a “Megaflush” test, where every Partner was assigned a toilet to flush repeatedly for 5 minutes. Once that test was complete, TD could complete the commissioning for that system. With two years of data, the change has been a smashing success. Encouraged, well-trained employees are serving quality food at reasonable prices, and fans are headed to the stadium in droves. TD is proud to play a small part in making professional football more affordable and accessible.